When I first heard that a Lego movie was coming out my enthusiasm was fairly underwhelming. I wouldn’t have gone along had I not been dragged by friends, but after seeing it I was very glad that I had. More than most movies it’s meme-heavy, foremost of these (once you manage to get the song out of your head), is Benny the generic 1980’s Spaceman’s joy at *finally* being able to build a spaceship for use during the climax. 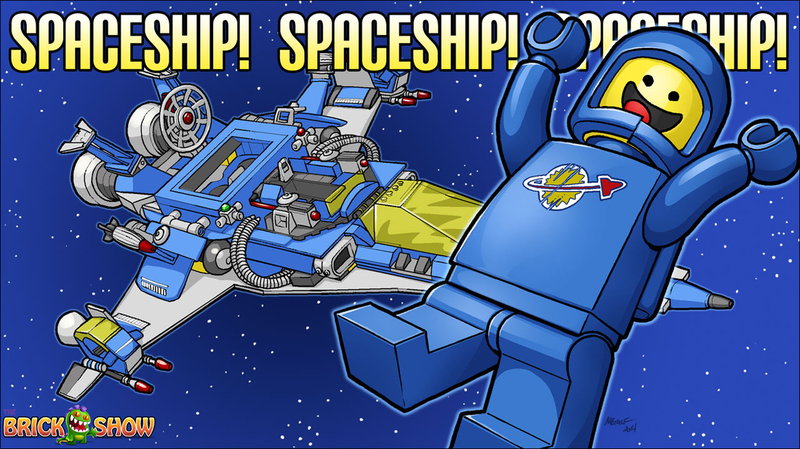 His excitement is almost uncontainable, to the point where the only word he can say is “SPACESHIP!! !” in a tone that’s both hilarious and highly infectious. Even now, months after seeing the movie, all my friends will yell “SPACESHIP!! !” at the slightest provocation. 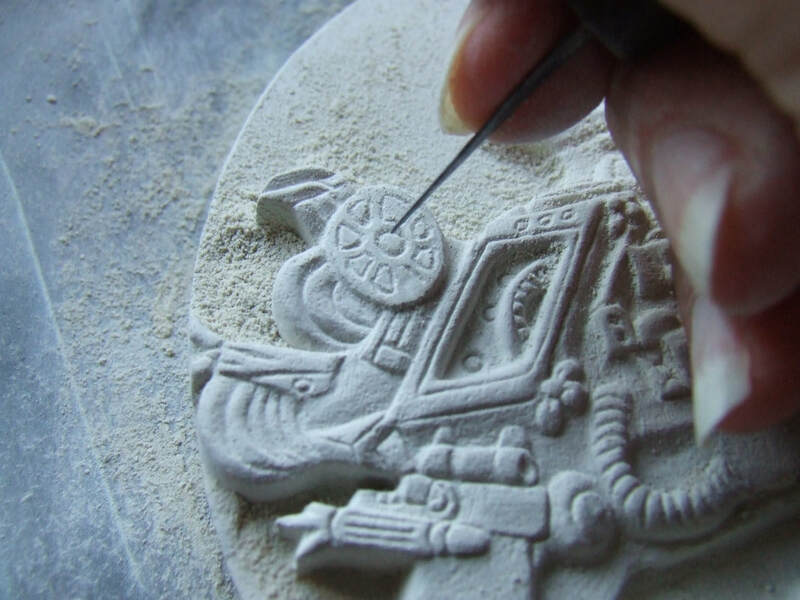 How could I not want to put that into stone? Composing a design I was satisfied with took a little bit of time. 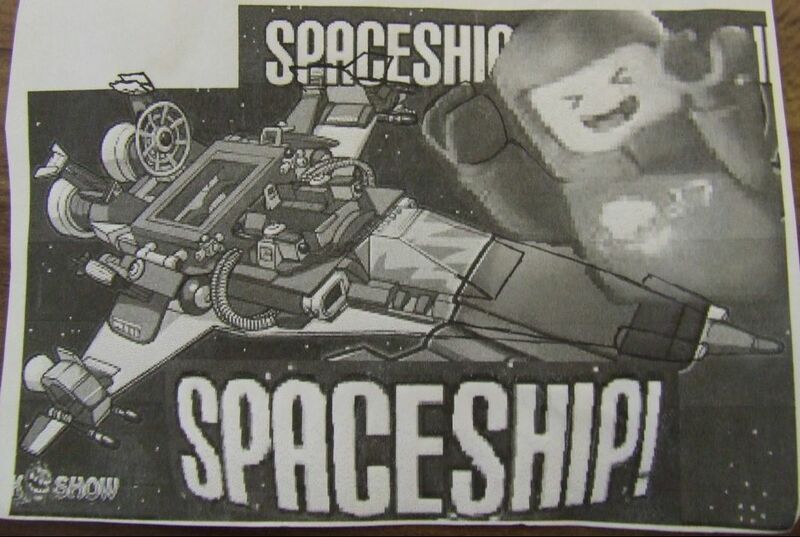 I found an image that had nice detail of his ship but Benny himself, while happy, wasn’t quite what I was looking for. I wanted to capture the almost hysterical elation that’s shown on his face with a wide mouth and tightly squeezed eyes. So I rearranged the image with a new Benny and sent him behind the spaceship instead of standing in front of it. That composition made the most sense to me as it reinforced the impression that he represents the core tone of the piece, rather than just being a feature off to the side. 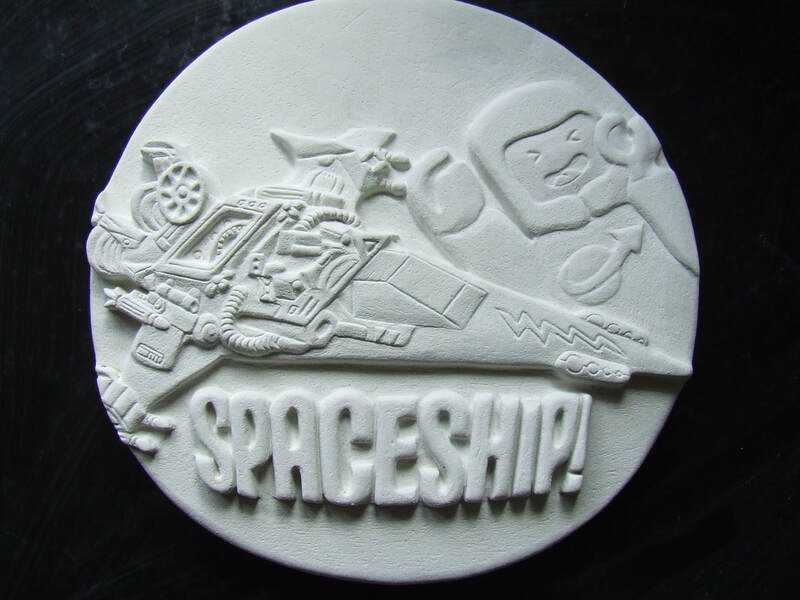 I brought the “SPACESHIP!” text down to fill the blank space at the bottom and to act as a solid base of the composition, and also curved it out slightly but noticeably. This left a spare area at the top that I’ve intentionally left free for personalisations. 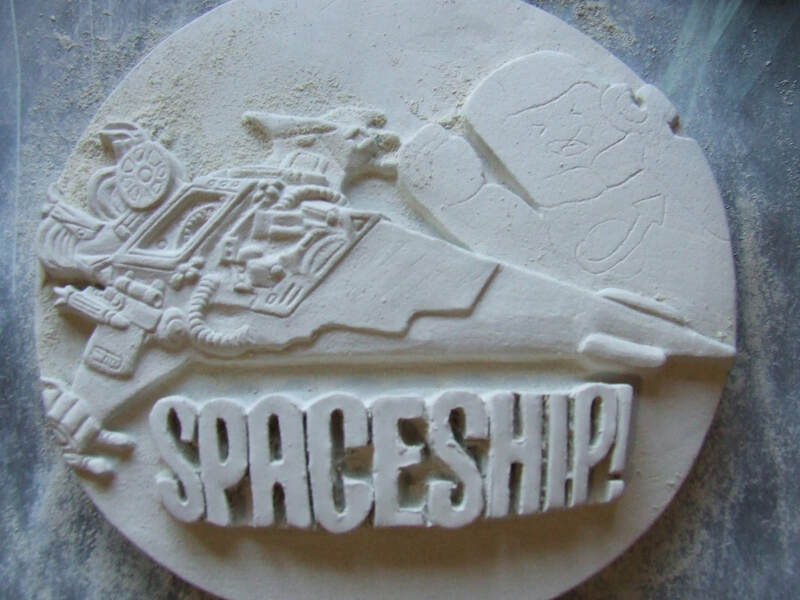 With this composition the viewer’s eye is first drawn to the “SPACESHIP!” text, which by its curved nature leads the viewer up to examine the complexity of the spaceship itself. The detail funnels down and steadily diminishes towards the nose of the ship, which is a natural arrow that then guides the attention to the figure of Benny, leaving the viewer with a memory of his unadulterated excitement.